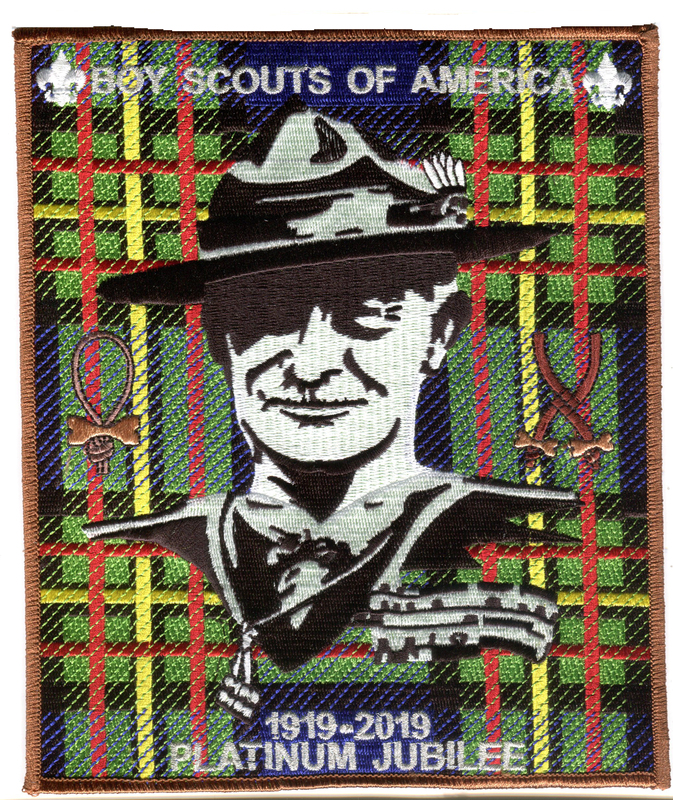 A special patch to mark the Platmum Jubilee of he first Wood Badge class in 1919. 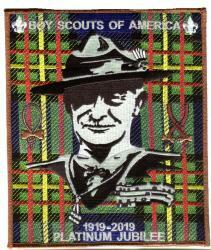 This patch festures B-P both the founder of Scouting and Wood Badge. This massive back patch is 6 1/2 wide by 7 3/4 inches tall. Make sure you check out our other Jubliee items including matching socks and a patch and this patch design in a pocket patch.